Everyone’s recreational vehicle setup is different. From licencing to load and towing capacities, drivers can be left scratching their heads about their personal specifications… and how to travel safely (and legally) on BC highways. Our Commercial Vehicle Safety Enforcement (CVSE) branch wants to clear up any questions you may have about your RV to help gear you up for the adventures ahead this spring and summer. So, our trusty CVSE officers are shutting down the Kamloops Westbound Scale to commercial traffic for the day so they can weigh your RVs and offer advice. Please rest assured this is an educational event – not an enforcement event. 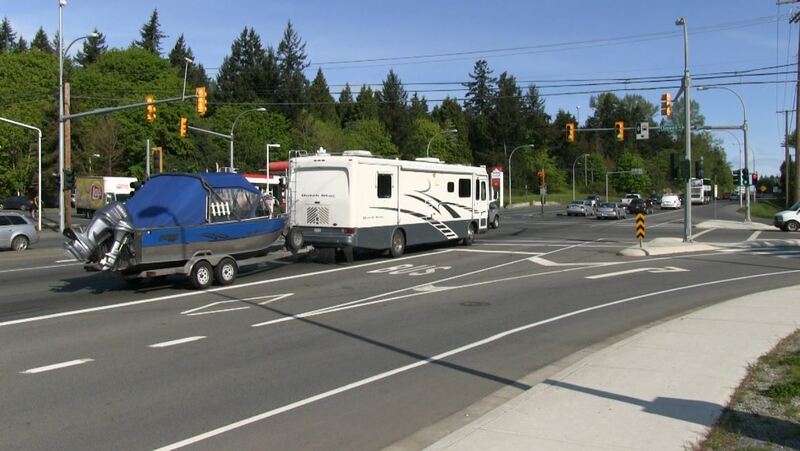 It’s all about helping you make your RV safe and legal. We hope to see you there! 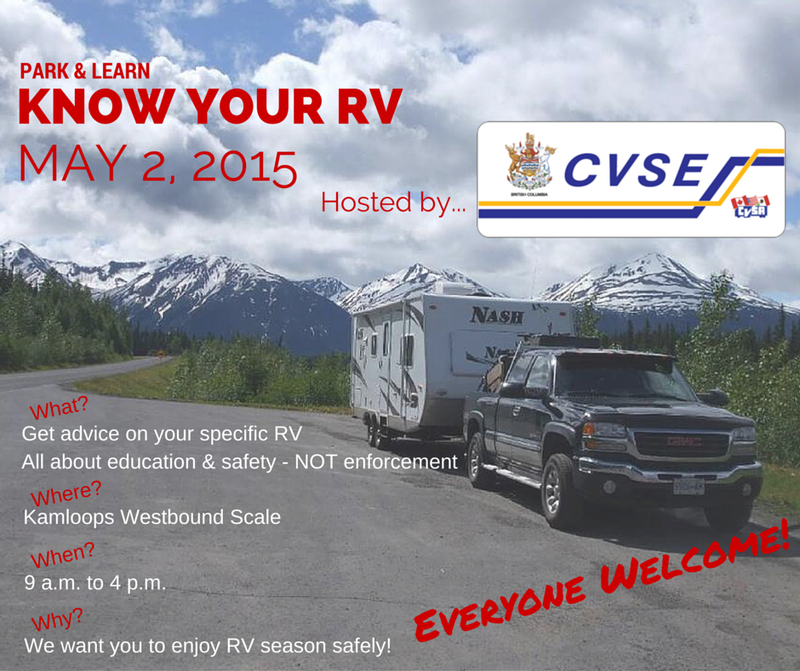 Depending on attendance, CVSE will consider hosting more of these RV education and safety events at other locations in BC. Got a trip planned already? We’d love to see your photos. If you’re on Twitter or Instagram, use the #BCRoadTrip hashtag. We had a lot of fun last year showcasing some of our favourites here on TranBC. Can I get a paper copy of the book please. Thanks for connecting with us here. Unfortunately, we don’t have any copies of this book as it is published by ICBC. You can print the booklet from the link provided or you could pick up a physical copy of the book at an ICBC licensing office or Autoplan agent. Hope that this helps! How about doing the same thing in Terrace, I’ve looked at the licensing requirements and I’m somewhat confused. My trailer weighs 3327, but how do I calculated personnel items and food.